Cincinnati and beer have had a tumultuous relationship. German immigrants once helped make the city a world-class beer producer—until Prohibition brought the industry to a grinding halt. But make no mistake: beer and Cincinnati are back on. 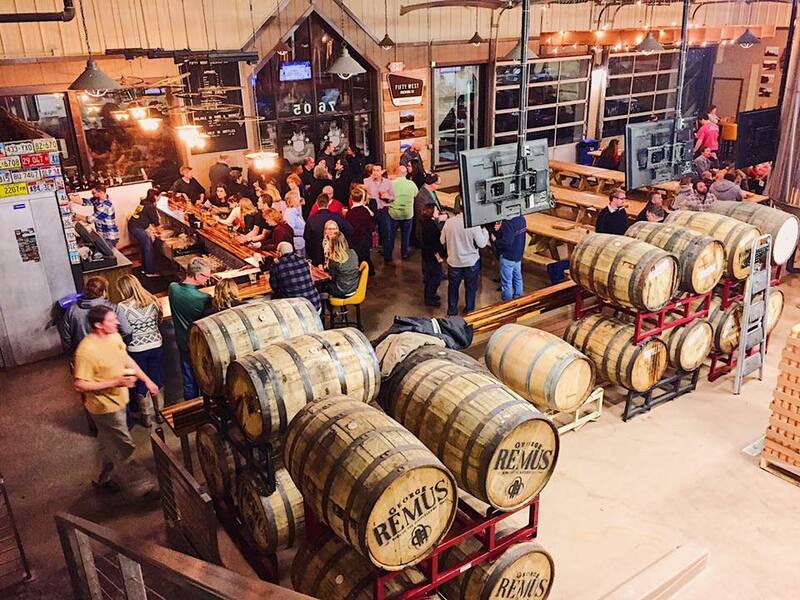 The past decade has witnessed an explosion of craft breweries in the region, ranging from small batch community hubs with a few taps to large warehouses that serve crowds of beer enthusiasts. Here’s a complete (for now) list of taproom breweries within the greater Cincinnati area (inside the 275 loop). In 1895, Tom Smith repented his bad ways just before he was hung for his crimes. Over a century later, his descendant, Sean Smith, and two friends refuse to repent for their “badass in a glass” with a burgeoning brewery business in eastern Cincinnati. 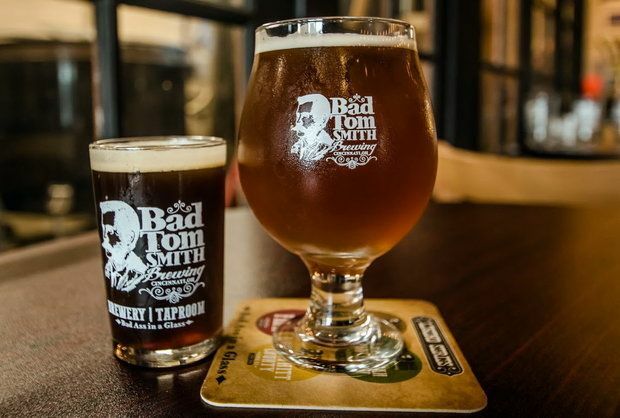 Bad Tom Smith, begun in 2012, operates out of an intimate, down-to-earth taproom that serves a variety of craft brews, from Pumpkin Ales (“Cheating the Gallows”) to Red Ryes (“FINK”). Like its namesake, Bad Tom Smith seems destined for notoriety; new owners John Vojtush and Sheryl Gittens plan to open a new taproom in Ohio City, Cleveland. Braxton has no problem distilling its values: hard work, enterprise, community, and cutting edge beer. By age 16, Evan Rouse was already experimenting with home brews in his garage, a promising past which the Union, KY native harkens back to frequently with Braxton’s down-home American attitude. The spacious (and dog-friendly!) taproom in Covington conjures the spirit of a classic American garage—relaxed, unassuming, and now also home to trivia nights and live music. Braxton’s focus, however, remains on producing one-of-a-kind beer, including specialty brews with local partners, such as Holtman’s Donuts (“Cinnamon Toast Crunch Donut Beer”) and Graeter’s Ice Cream (“Black Raspberry Chocolate Chip Milk Stout”). 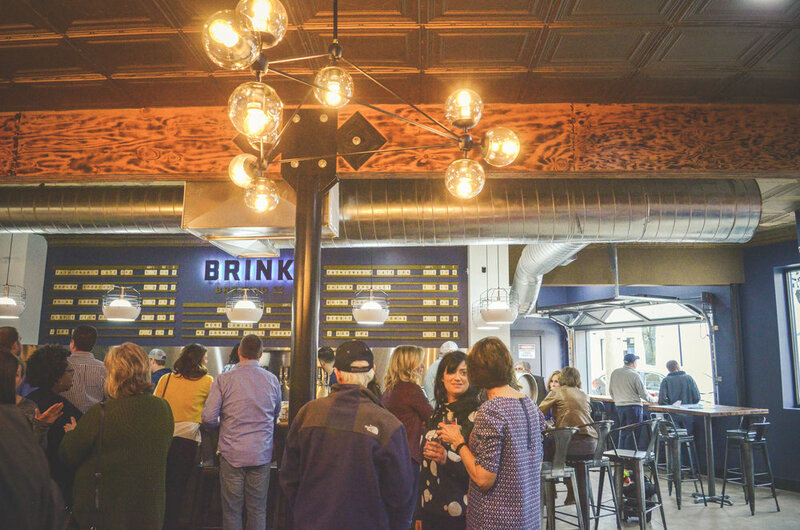 Brink Brewing, opened in February 2017, holds to a clear mantra: “good beer is about the people, the stories, and the experience.” For Brink, the people are brothers Kelly Montgomery and John McGarry, John’s wife Sarah, brother-in-law Mark Landers, and friend Andrew McCleese, as well as their new neighbors in College Hill. The stories are the many pints consumed with legendary Uncle Jack, who inspired Brink’s founding. And the experience? A charming, modern taproom meant to bring together a neighborhood, complete with a wall-sized Scrabble board and a long community table. 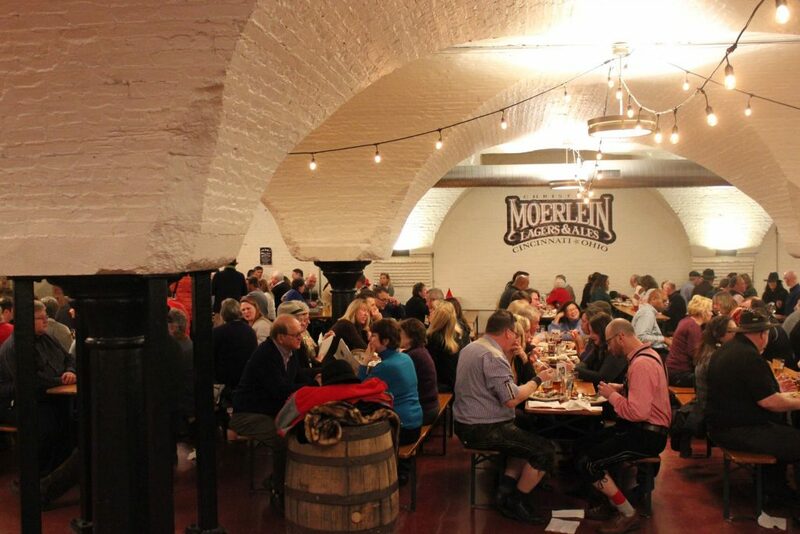 The Christian Moerlein brewhouse holds prime real estate on Cincinnati’s riverfront and a front row seat to the city’s tumultuous history of hops. 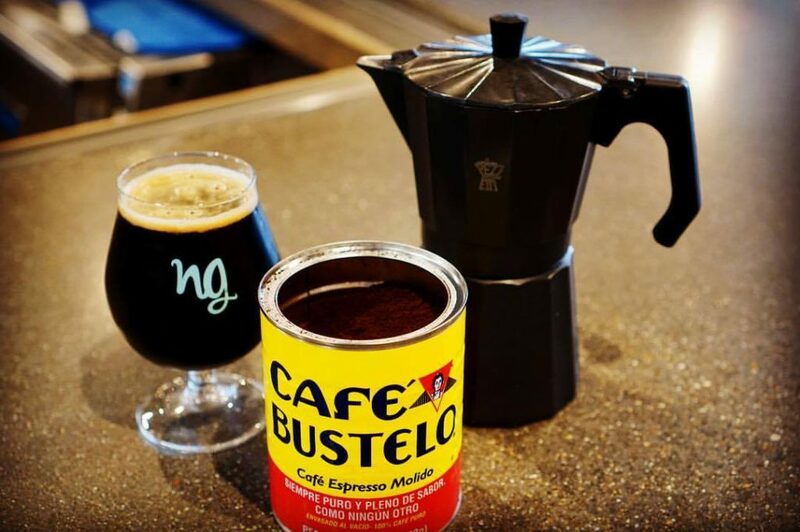 Originally founded in 1853 by Bavarian immigrant Christian Moerlein, the company once dominated the brewing scene in Cincinnati, even exporting as far as South America and Europe. But American Prohibition forced the local factories to close, not to return to the Queen City until 1981. Now owned by Greg Hardman, Christian Moerlein has re-established its presence in Cincinnati with a massive restaurant and bar in the shadow of Great American Ballpark and a recently expanded brewhouse in Over-the-Rhine. After tinkering with home brews for several years, friends Eric Bosler and Ron Sanders founded Darkness Brewing to share their beers with the lively community of Bellevue, Kentucky. 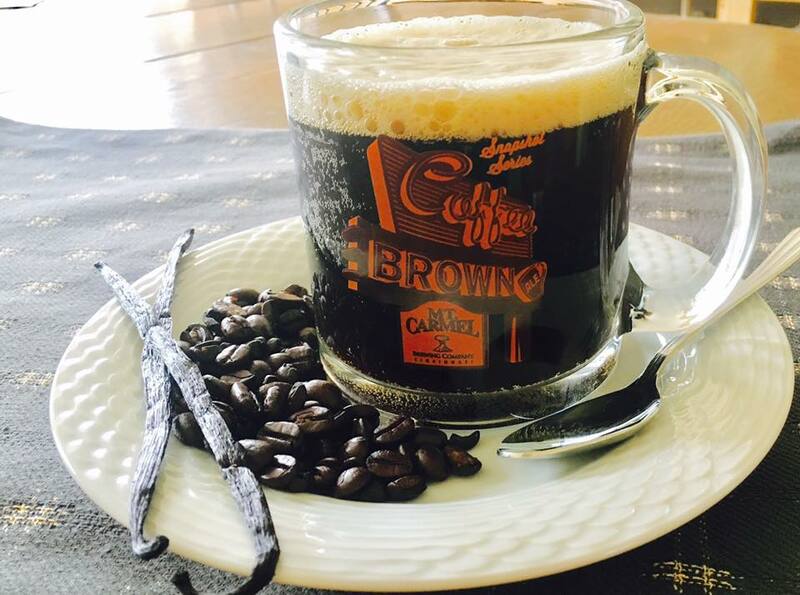 The duo, fans of darker brews, continue to experiment with their beer, serving up special blends from Vanilla Maple Brown Ale to 11% Super Stout in their taproom just across the river from Cincinnati. Despite the name, Darkness Brewing welcomes patrons with an airy, open taproom, which doubles as a hub for local art, live music, and happy hour games. Friends Chris Frede and Tony Meyer draw on their backgrounds in science for DogBerry Brewing, which turns locally sourced ingredients into smooth, balanced blends. Opened in January 2015, DogBerry has recently expanded to a 5,000 square foot facility a few blocks from the original location in West Chester. The new wood-paneled taproom updates DogBerry’s relaxed, sports-pub vibe, with air hockey and skee ball, a collection of TVs, and plenty of seating to sample beers from their new ten-barrel brewhouse. 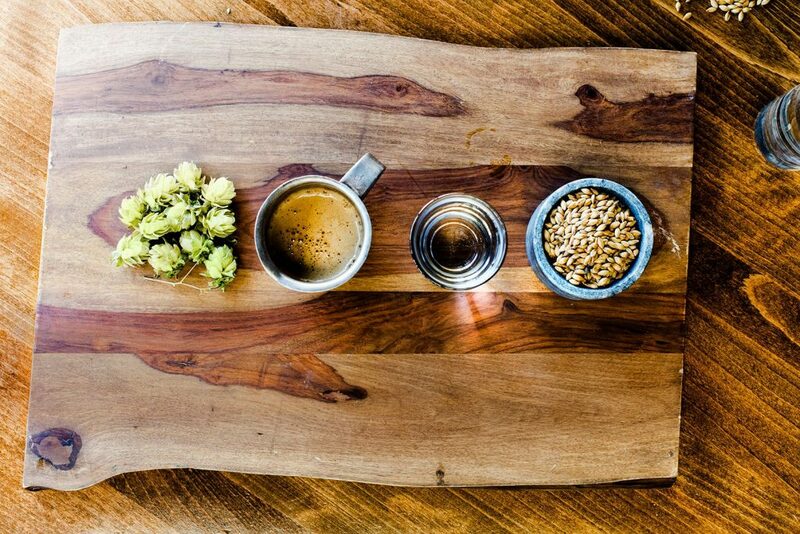 Fibonacci Brewing, located in Mt. Healthy, operates as a nanobrewery—the beer is made in batches of less than seven barrels. 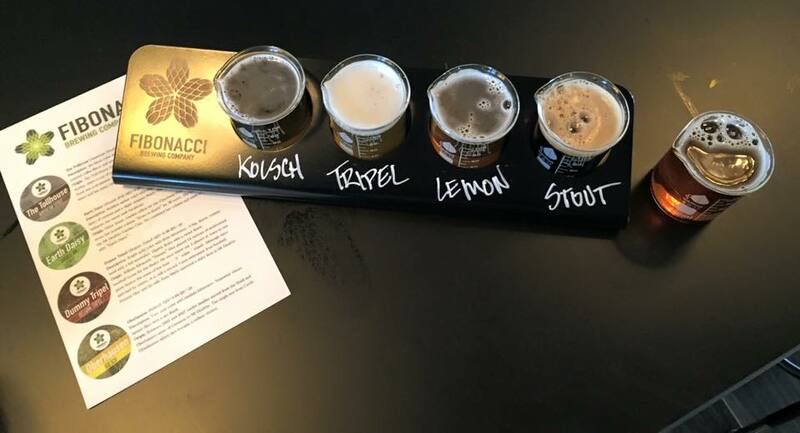 Founded by Betty and Bob Bollas, Fibonacci Brewing takes its name from the couple’s love of mathematics and horticulture (as well as the hops, one of the most famous examples of the Fibonacci sequence in nature). 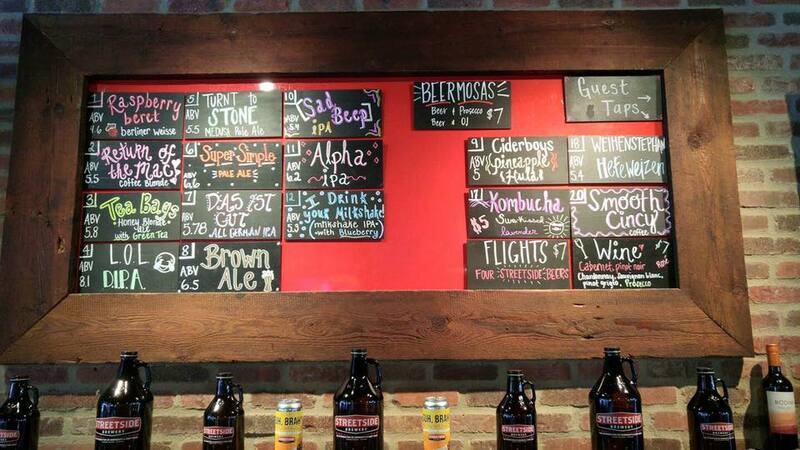 Fibonacci maintains a small, homey taproom in Mt. Healthy, complete with garden decorations, picnic tables on the front patio, and distinctive hops-shaped lampshades. Fifty West, founded in 2012, operates both a brewpub and a production works along Wooster Pike, in Columbia Township. 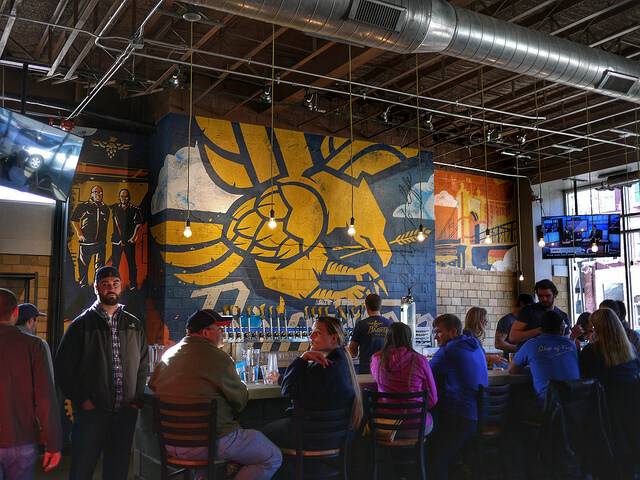 A recent expansion has Fifty West dreaming bigger than merely beer; the company, adjacent to the Little Miami River, envisions a full community experience centered at the bar and restaurants. Bike rentals, volleyball leagues, and canoeing from the riverbank are already underway, as Fifty West continues to accommodate its ever-growing legion of regulars. West Chester’s newest brewery, Grainworks, arrived in September 2017 with a grand opening barbecue. Founders Steven Brock, Anthony Russell, and Brian McGinnis designed and built the taproom themselves in the style of an old farmhouse; whitewashed falls, a model silo, and a wooden owl overlook the spacious bar-stool seating. Grainworks plans to rotate through six to eight beers at a time, including their signature ESB, Scottish ale, and porter beers. 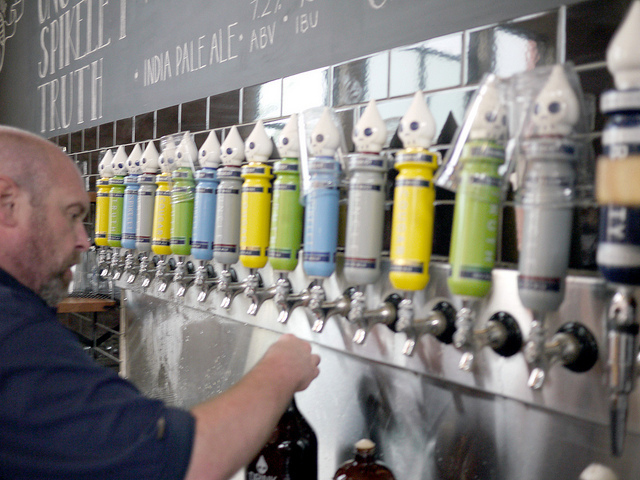 Listermann has served greater Cincinnati’s home brew needs for over 25 years. 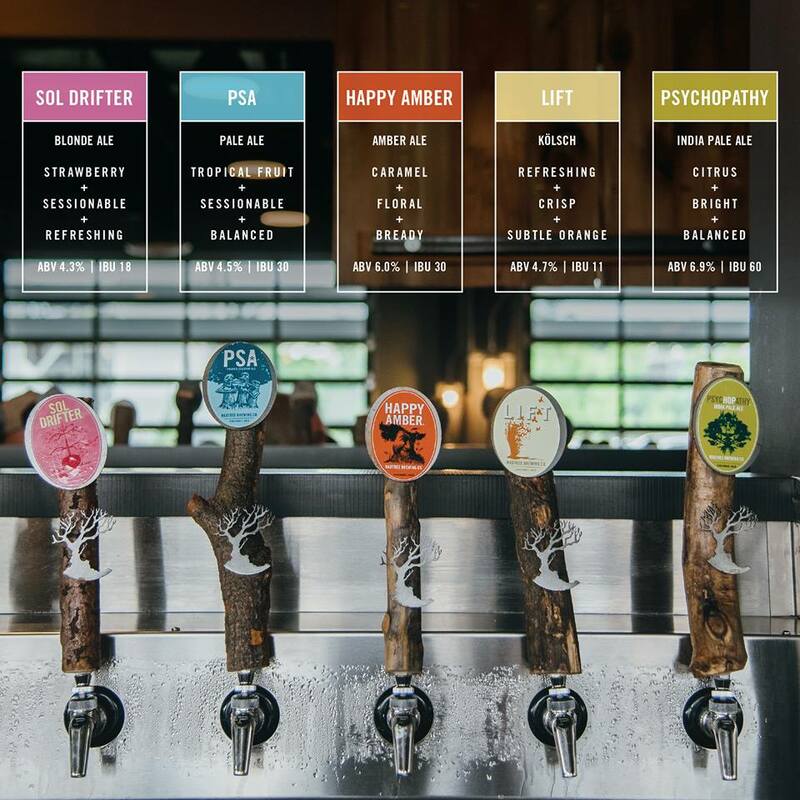 Founded in 1991 by couple Dan and Sue Listermann, the company’s Evanston facility functions as an renowned brewery, understated tap room, and shop for home brew supplies. Listermann keeps a number of creatively titled beers (“Jungle Honey God Mode”) on tap for visitors to the brewery, and has gained notoriety as of late with awards for its Nutcase Peanut Butter Porter and Chickow! brews. 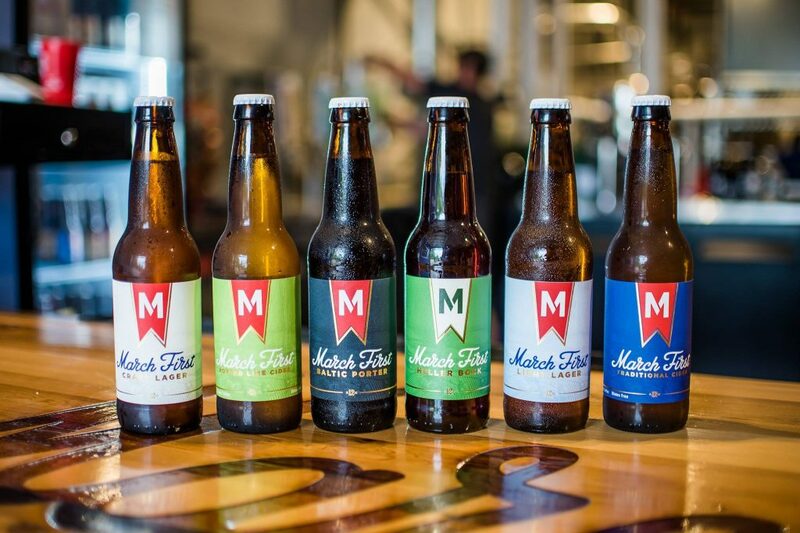 MadTree has rapidly developed into one of Cincinnati’s premier breweries and distributors. Founded in Columbia Township in 2013, MadTree moved to a state-of-the-art facility in Oakley in February 2017. The new 50,000 square foot digs include 64 taps, a Catch-a-Fire pizza kitchen, a beer garden, and two event spaces (home to MadTree’s annual Winter Bonanza). MadTree’s wide-open layout and large array of beers—soon to be distributed throughout Ohio and Kentucky—play host to numerous community nights, live music shows, and charity events. On March 1, 2017, Mark Stuhlreyer and Kevin Kluener celebrated the anniversary of the state of Ohio’s founding with the opening of their brewery and distillery, aptly named for the day. 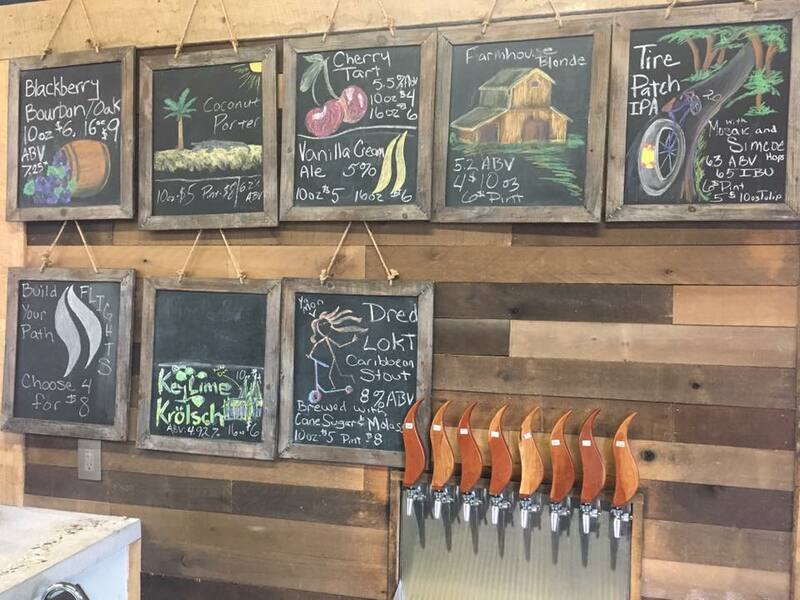 March First keeps the focus on the Buckeye state; it specializes in lagers and ciders made with Ohio-grown apples, and plans to sell apple brandy, bourbon, rye, and American whiskey soon. March First serves up its signature lagers and IPAs at its crisp taproom in Sycamore Township, which includes a spacious beer garden patio. Owners Mike and Kathleen Dewey anticipated Cincinnati’s craft beer boom when they opened the Mt. Carmel brewery in 2005. Originally based in the Deweys’ basement, Mt. Carmel now distributes to numerous grocery stores in the area and hosts brewery tours at their public house near Eastgate. Mt. Carmel also hosts numerous community events, from Friday Night Porch Parties (with food trucks) to yoga on Saturday mornings. Narrow Path, launched in March 2017, brings the craft beer craze to the heart of downtown Loveland. 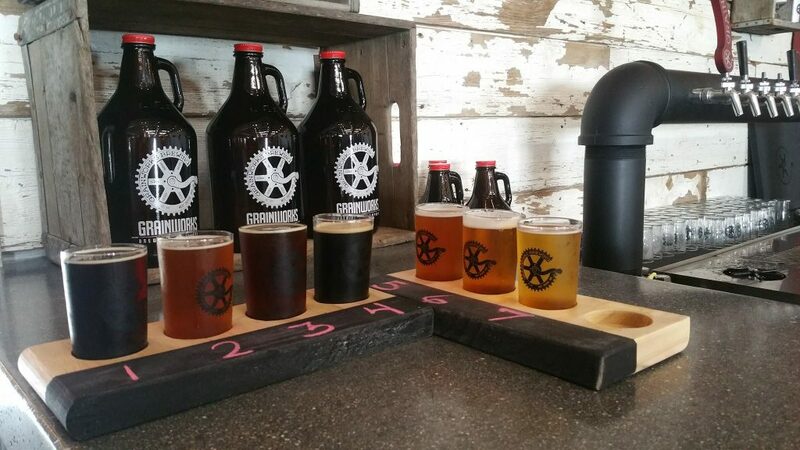 Its taproom, a sleek industrial-style and hardwood space along the Loveland Bike Trail, offers patio seating and an opportunity to sample Narrow Path’s growing selection of brews. Founders Chad Powers and Greg Snow established Narrow Path as a locus of “craft, community, and cause,” and have made charitable giving a pillar of their new business. Brothers-in-law Brandon Hughes and Mike Albarella founded Nine Giant in 2016 with a focus on the in-person experience. Rather than packaging flagship beers, Nine Giant plans to experiment with new styles in the five barrel brewhouse. 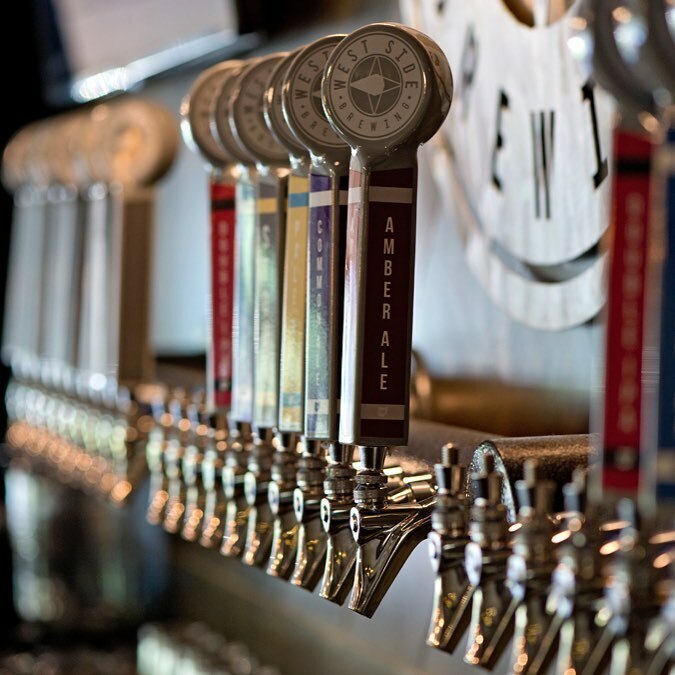 Their polished, blue subway-tiled taproom delivers a constantly rotating array of craft styles, served in full or half pours (no flights) for optimal tasting conditions. Additionally, Nine Giant’s “snackery” offers house-made small plates of traditional bar food with a gourmet twist. 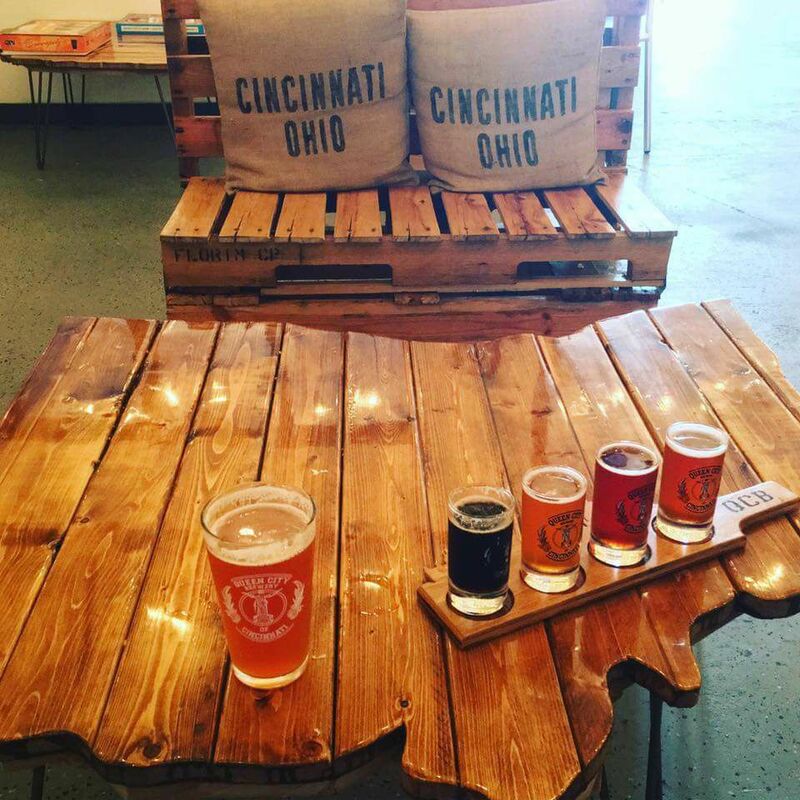 The Queen City Brewery isn’t joking around with its name; the brewery and taproom in Blue, Ash, opened in early 2017, pays serious homage to the Queen City with Ohio-shaped tables, pillows and posters emblazoned with the Cincinnati name, and flig​hts carved to match the city skyline. Queen City’s craft beers, a continually expanding operation, also take inspiration from Cincinnati’s hops-filled history. So far, popular brews include James Nut Brown, the 7 Hills Highlander IPA, and Hollywood-inspired Dark Knight Black IPA. The “Ghost of the Rhine” has resuscitated Cincinnati’s storied pre-Prohibition past. Housed in the old Christian Moerlein bottling plant—a massive warehouse built in 1895—Rhinegeist has expanded rapidly from its opening days in 2013 to become one of Cincinnati’s signature large craft breweries and distributors. Rhinegeist pairs its extensive beer and cider selection with a wide-open, 25,000 square foot facility that hosts brewery tours and events. Additionally, a recently opened rooftop bar offers views of Over-the-Rhine when weather permits. While other breweries focus strictly on the beer, Rock Bottom aims high with a full restaurant menu and upscale sports pub decor. Rock Bottom’s menu stretches from tacos and roasted chicken to steaks, burgers, and pizzas. A window inside offers a peek of the vats which brew all of Rock Bottom’s beer on site, while the restaurant’s outdoor patio glimpses Fountain Square. Since late 2016, Streetside Brewery has breathed new, hops-filled life into one of Cincinnati’s oldest neighborhoods. Envisioned by the Hickey Family, natives of Columbia Tusculum, Streetside pushes the boundaries of craft beer with their colorful array of brews—the reliable “Super Simple” pale ale, for example, or lactose-infused “I Drink Your Milkshake.” Streetside’s garage-themed taproom, housed in the old East End Cafe, serves a “micro-menu” of sandwiches and salads, as well as the classic soft pretzel. 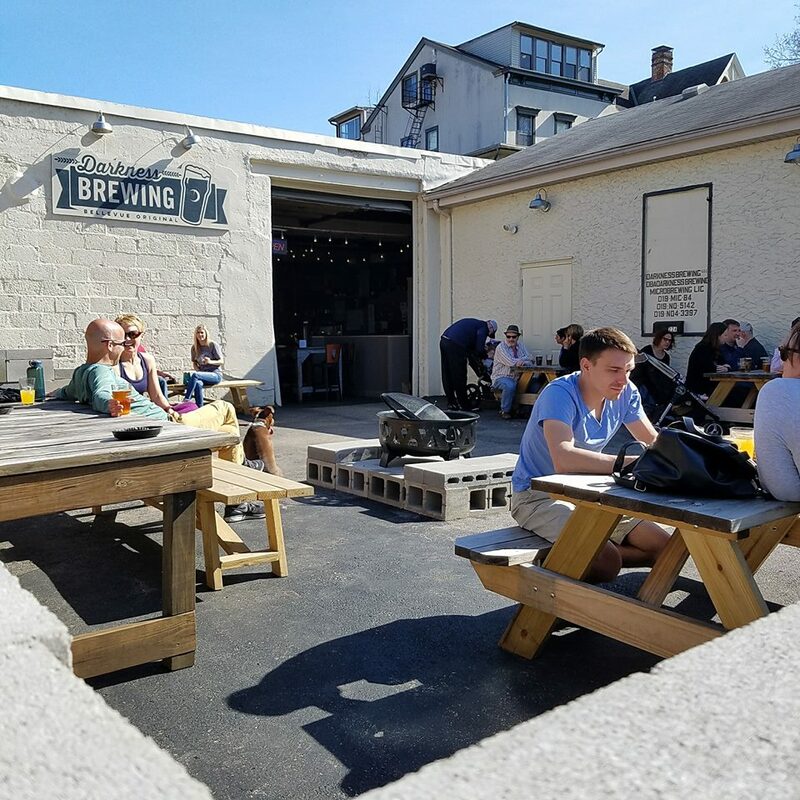 The Taft Brewing Company dreams big—the company first opened a three-story restaurant and ale house in Over-the-Rhine in 2015, only to add a “brewpourium” in Spring Grove in April 2017. The Ale House, which reconverted the original St. Paul’s German Evangelical Protestant Church, focuses on food and an upscale, urban pub ambiance, with a full menu and tri-tip steak special. 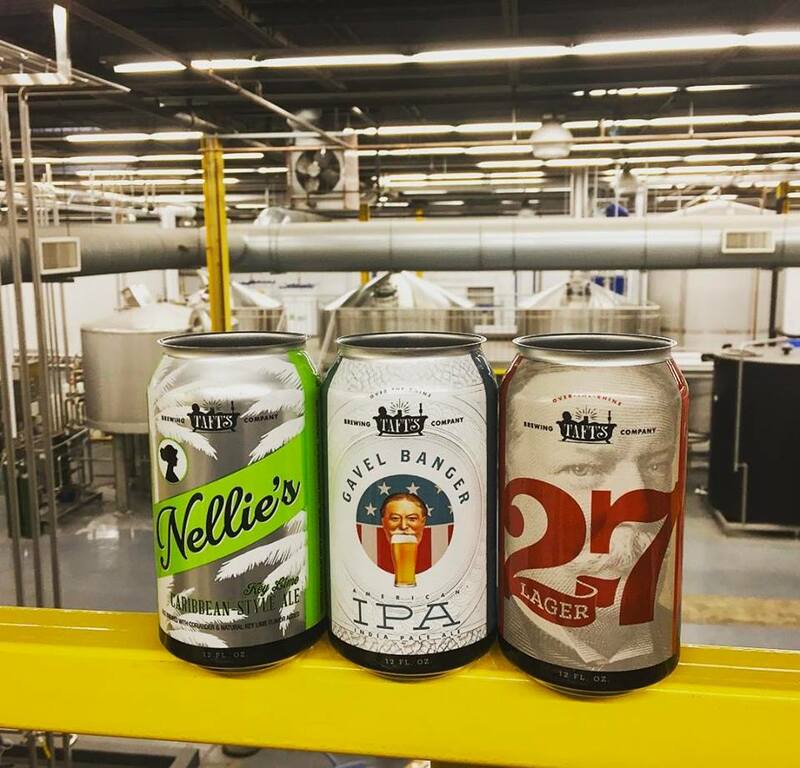 The new brewpourium, provides ample space to tour the brewing facilities and sample Taft’s craft beers along with “New Haven-style” pizza from coal-fired ovens. 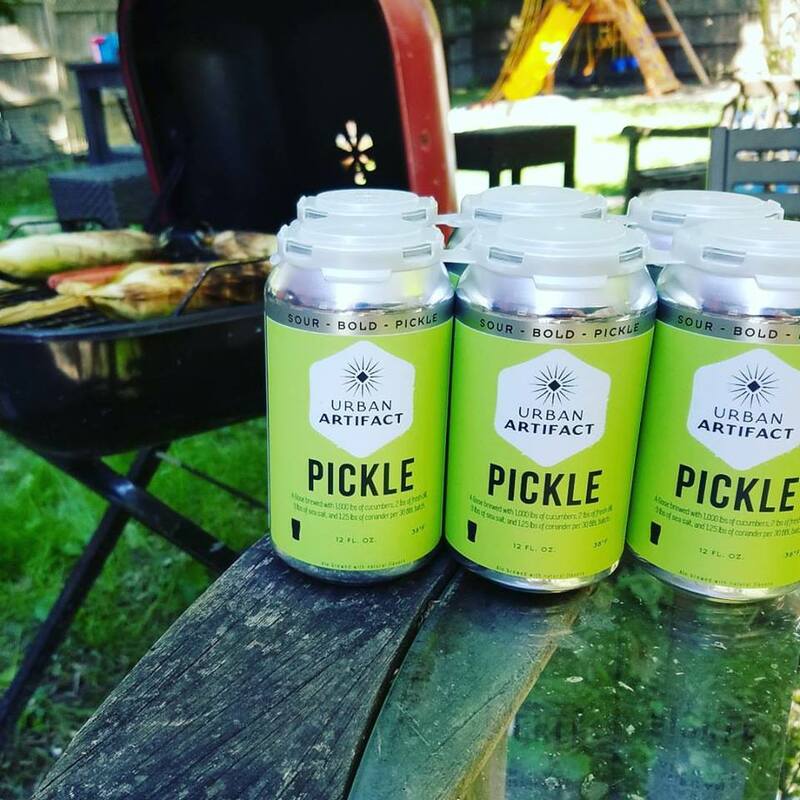 A cutting-edge brewery is probably not what you’d expect to find in the basement of an old church, but Urban Artifact Brewing has made a career on subverting expectations. 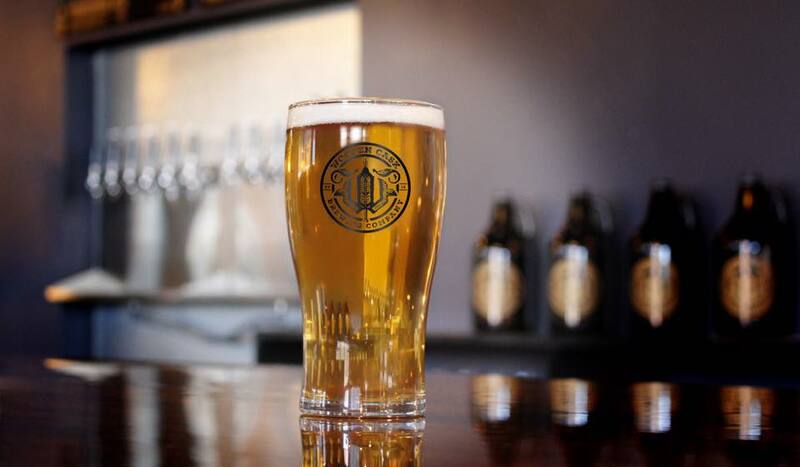 The craft brewery in the former St. Patrick’s Church in Northside traffics exclusively in tart and wild ales, particularly local blends such as the Kentucky Common style. Urban Artifact’s taproom, embellished with wood and materials reclaimed from the church, also serves wood-fired pizza and hosts live music events on most nights. After a successful kickstarter campaign and several years of development, West Side Brewing finally opened its massive taproom in June 2017 to great fanfare, including a ceremonial keg tapping by Cincinnati Mayor John Cranley. This industrial-chic brewery and bar, envisioned by four former engineers and businessmen, aims to grow into a beloved community hub for good beer and better company. 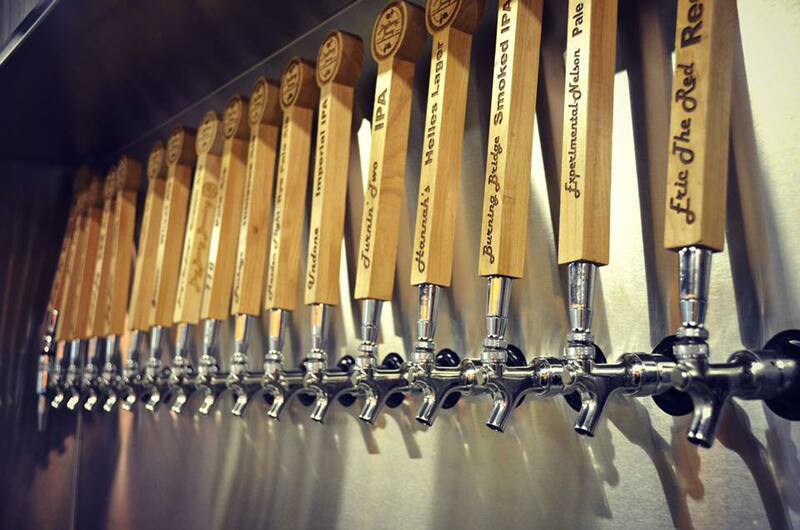 The open-floor taprooms currently serve nine home brews on tap, with more in development. The Woodburn Brewery, opened in 2016, puts a hip, industrial-urban spin on the Cincinnati craft brewery expansion. Beer connoisseurs Chris Mitchell and Dennis Chacon converted a former movie theater from 1909 into Woodburn’s taproom, complete with exposed original brick, low wooden rafters, and the cozy bulb lighting of today’s hip coffee shops. Woodburn serves beer ranging from pale ales to porters, though it has gained a reputation for its chocolate cherry stout. The craft beer bonanza has extended across the river with the Wooden Cask Brewing Company, housed in a spruced up version of the old Flamingo and Jockey Club in downtown Newport. Husband and wife duo Randy and Karen Schiltz named Wooden Cask after the traditional method for serving beer, which reflects their interest in brewing classic English, Irish, and Scottish styles with slightly lower ABVs. 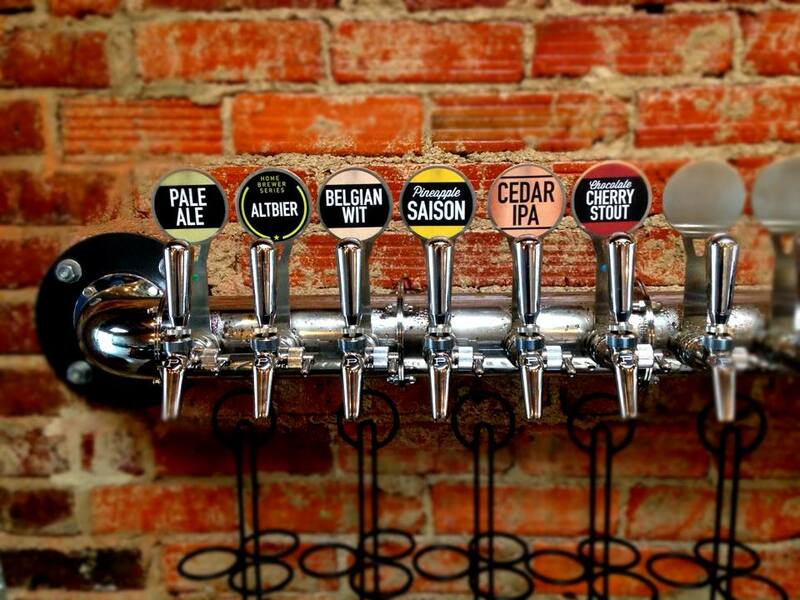 Wooden Cask now offers ten beers on tap at their warehouse-style taproom, with options to bring food in from their many neighbors in Newport. 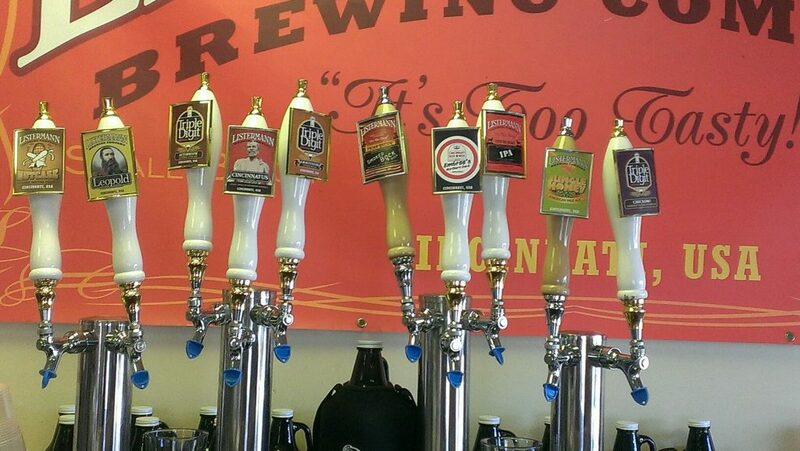 Thank you for taking the time to include Bad Tom Smith Brewing in your Cincinnati Neighborhoods Breweries & Tap Rooms. While there are many brewery lists and an ever expanding group of breweries in Cincinnati, we never tire of the seeing the effort of individuals like you who take the time to champion each of us.